Cheesin’ at Vans Warped Tour 2013. Nobody deserves a The Wonder Year-less life, and I’m here today to do justice to the overlooked awesomeness that is this realist pop punk band out of South Philly. But let’s get real: They’re much, much more than a bunch of bearded, seemingly uncleanly badasses. 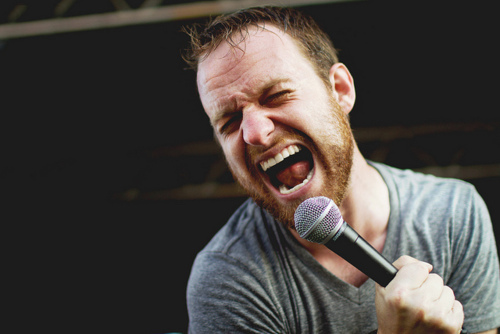 The Wonder Years, headed by lead singer, Dan “Soupy” Campbell, formed in 2005, and since then have released 4 out-of-this-world studio albums. Their latest album, “The Greatest Generation,” was released last year. At its peak in 2005, pop punk gave way to big name bands including All Time Low, Mayday Parade and Yellowcard, but unfortunately for us, The Wonder Years got a late start and consequently, have had a hard time gaining any traction. This March, I had the opportunity to see The Wonder Years (for the third time) headline a concert in Cleveland, which was apparently, according to my boy, Soupy, their biggest crowd to date, which can only mean good things. The Wonder Years are a bit more pop than they are punk, which might be why they’ve had trouble making a name for themselves among pop punk junkies, but they have a sound all their own and it is nothing short of mind-blowing. In my opinion, The Wonder Year’s most admirable quality is their versatility. When I’m feeling like sulking in my own self-pity, my personal favorite Wonder Years tracks include “All My Friends are in Bar Bands” and “Coffee Eyes.” When I need a bit of inspiration, I jam out to “Devil in my Bloodstream” and my all-time fav, “There There” (they opened their March 8th concert in Cleveland with this song, and yes, I did cry tears of joy). For those multi-hour long car rides, “Don’t Let Me Cave In” and “We Were Giants” are perfect for screaming at the top of your lungs with your very best homies. Mad skill isn’t the only thing The Wonder Years have got going for them. They’re relatable—not in the way every pop song on the radio is “relatable”—but in a way that makes the bands personal feelings and experiences Soupy sings about relatable to TWY fans. Soupy and his dudes let us in. TWY lyrics aren’t recycled—they’re honest. As underappreciated as The Wonder Years may be, The Greatest Generation, TWY’s 4th and latest album reached #20 on Billboard’s Top 200 chart and rightly so—it’s genius, and since its debut, I’ve listened to it no less than 100 times. I know, I know, I’m a total TWY fangirl, but I’m not ashamed. The Wonder Years deserve just as much recognition and appreciation as big-name pop punk bands like All Time Low and Mayday Parade (I’m a big fan of both) and I can only hope their fan base continues to grow. 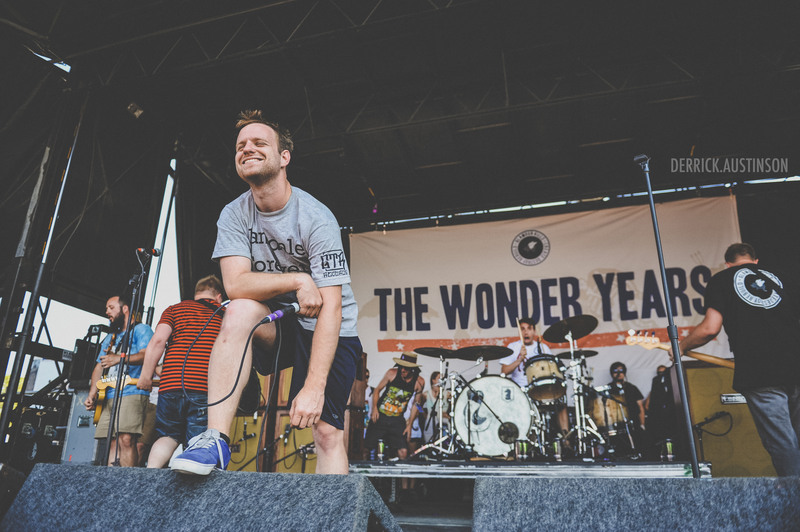 Although we don’t know what the future has in store for The Wonder Years, one things for sure—for the time being, pop punk isn’t dead.